After the closure of Mama Chicken at Madhapur, my quest for the BBQ chicken led me to a place called “Shekar’s BBQ". Located near JNTU RyuthuBazar, this kiosk has so many varieties including chicken legs, wings, tadka, chest, boneless seekh. They serve these with the mint chutney, which is extremely tasty. Since the area is inhabited by a lot of youth and bachelors, this place is doing brisk business. The spice levels in the food items are moderate and can be customized as per the customer’s requirements. One of their operators told me that they also supply on order, and they do provide live counters for bigger parties. I find that the mobile BBQ concept is becoming very popular in this area and has huge business potential for the near future. Location: Near Visakhapatnam Cooperative Bank, Road Number 2, KPHB Phase I, KPHB Colony, Kukatpally. Sri Balaji Roti Shop is one of the oldest roti selling places around the KPHB area, and they are located near Ramya ground. They specialize in rotis, especially plain roti, phulka, jonna roti (jawar) but their signature dish is the famous Gunta Ponganalu. They operate in the evenings from 4 to 10pm. The kiosk is owned by two ladies, they started with only rotis and then moved on to make Gunta Ponganalu. They make it on a semi-circular mould which is filled with the batter and then cooked evenly. 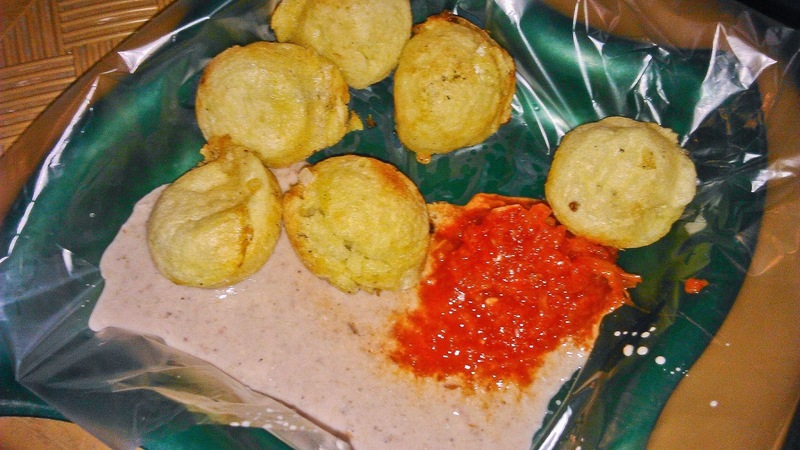 The ponganalu are served along with onion chutney and groundnut chutney. The spice level is very high, so a normal person should always have a water bottle with them! The place provides only a couple of chairs to sit and many make themselves comfortable by having a seat on the ground itself. Muntha Masala a.k.a. spicy puffed rice snack is a concept which is popular in Seemandhra. Earlier, they used to sell them in palm leaves along with a stiff spoon made from the leaf itself. The snack became popular in KPHB in early 2000s and was available only in limited varieties. Soon, people found it suitable as a snack to go along with drinks too which made the whole concept a big hit and presently there are almost 100 such kiosks in and around KPHB, slowly spreading to other regions of Greater Hyderabad. One of the oldest muntha masala centres is the Annapurna Muntha Masala. He has a special menu which is not available at other kiosks in KPHB. My favorite at Annapurna is the tomato masala, brinjal,egg and mirchi bajji. Made with a variety of puffed rice mixed with proportionate amounts of salt, chili powder, roasted peanuts, coriander, garam masala, lemon and some special masalas it is extremely delicious. They also prepare the wet version of the masala by mixing it with wet chana dal. They make frequent changes and continue to bring in a lot of new varieties in their menu. Location: Annapurna Muntha Masala, Opposite lane to Olive Mithai, KPHB Phase3, Kukatpally. 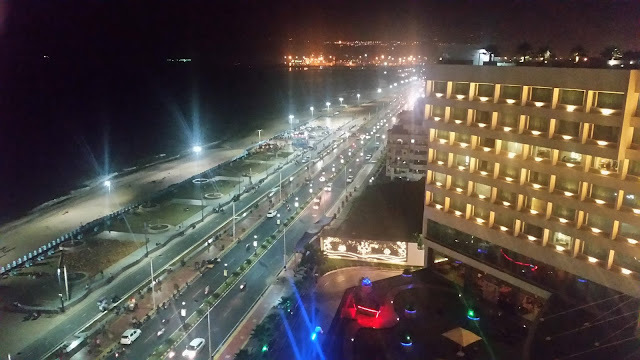 Hyderabad, Telangana-72. Phone: 9985552601, 9666250375. The population of KPHB has a lot of non-vegetarians whohave migrated from different parts of Andhra. They prefer the special Andhra snack - Chicken Pakoda, which is different from the regular chicken pakodas at other locations. Made with dough which is very crispy outside, the meat inside is soft and juicy at the same time. The chicken pakoda bandis are present on the E-Seva road, which is beside the Cinepolis Complex. You can see several of them serving chicken pakoda, chicken legs, chicken wings and some other boneless stuff. They operate in the evening time, mostly around 5 to 10 PM. Location: E-Seva Road, Lane beside Cinepolis Complex. KPHB Phase 3, Kukatpally, Hyderabad-72. 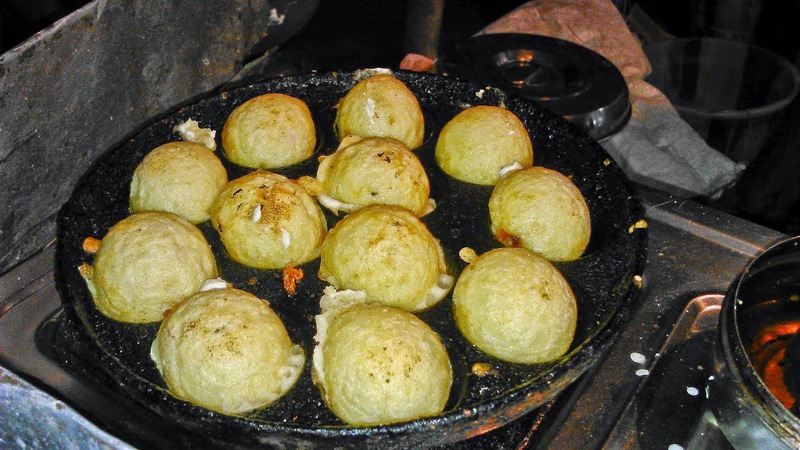 Uggani bajji (BorugulaUpma) is a snack or a breakfast which is widely available on the borders of Karnataka and Andhra Pradesh. They are made by tossing the puffed rice in a pan with curry leaves, onion, tomato, green chili, chili powder, coriander leaves,mustard, oil and some haldi. Fried gram dal powder (called Putnalu Podi) is served alongside with bajji. The bajji is super spicy maintaining a balance of gun powder and uggani. 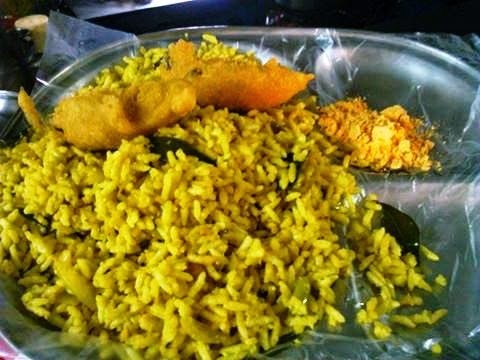 This snack is available for the breakfast at a tiffin centre which is adjacent to the Ramya ground, in which they do serve the regular tiffins along with Ragi Sankati, along with chicken curry and brain curry. 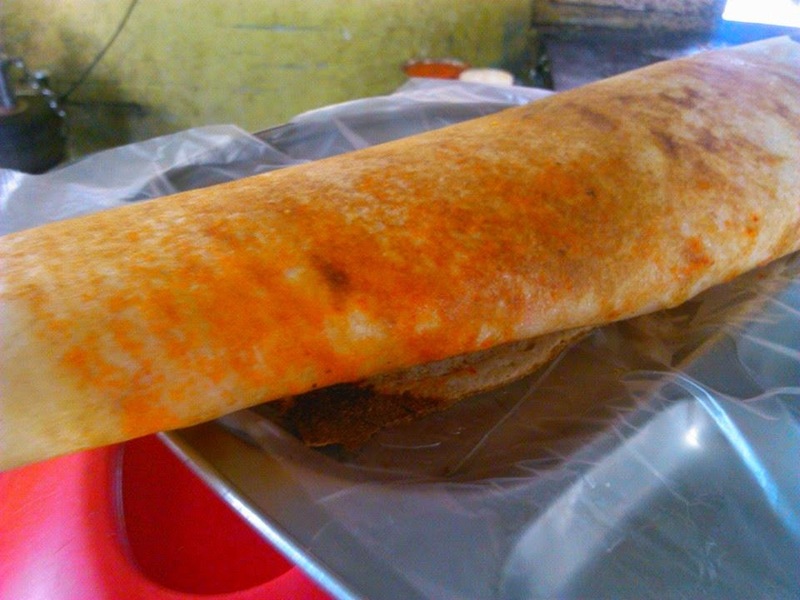 Another of their special items is the Rayalaseema Spl Karam Dosa. It is made the same way as the regular plain dosa, along with the karam which is made from the raw chili powder from Guntur. It is then mixed with onion paste making the dosa super spicy. They operate in the morning time from 7 to 11 am. 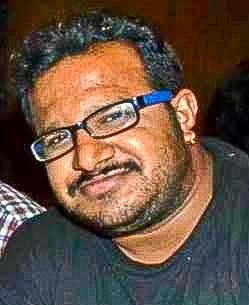 Location: Lane beside Ramya grounds, KPHB phase 3, Kukatpally, Hyd, Telangana-72. 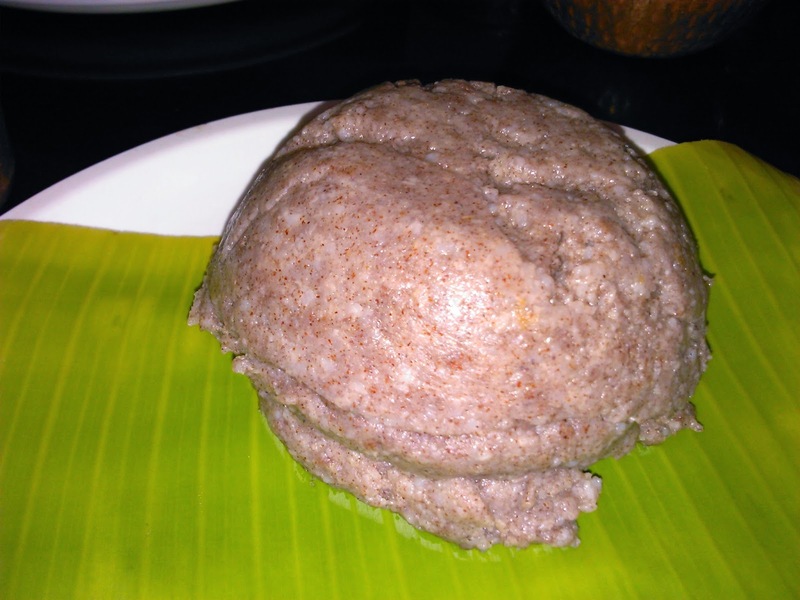 I have been to KPHB many a times but never seen the place where Uggani and Ragi sankati are available, will try soon.